On April 2, 1917 President Woodrow Wilson asked Congress for a declaration of war against Germany. The United States thus joined a war that was entering its fourth year. By the summer of 1917 the British and French armies and their German foes had settled into opposing entrenchments stretching from the English Channel to Switzerland – a line known as the Western Front. To break this stalemate each side employed huge infantry armies supported by massive artillery fire, as well as poison gas. Into this stalemate the U.S. Army would throw a force of over 2 million men by the end of the war. It would prove to be the military might needed to tip the strategic balance in the favor of the Allies. The U.S. Army activated seven Divisions in 1917, and those having reunions today are celebrating their 100th anniversary this year. AFR planned the 5th Division’s 97th annual reunion in Kansas City and the 2nd Division’s 96th annual reunion in Washington DC. 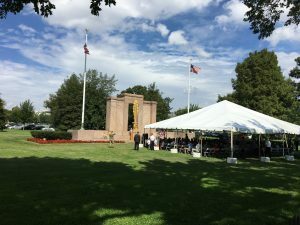 The Second Indianhead Division rededicated their own magnificent monument located between the White House and the Washington Monument, while the Red Diamond vets of the 5th Division commemorated their centennial at the National World War I Museum and Memorial in Kansas City. 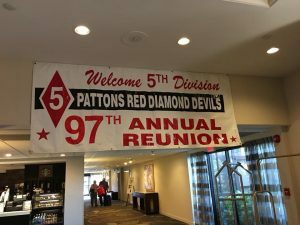 Over the past 30 years AFR has planned reunions for the following divisions: 2nd, 5th, 7th, 30th, 42nd, 63rd,69th, 83rd, 87th, 94th, 96th, 102nd, 104th, and the 106th. 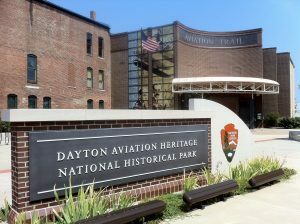 The Top Destination this month is Dayton, OH – home to the National Museum of the USAF. The Air Force is celebrating its 70th anniversary this year and there’s no better place to do that than Dayton. 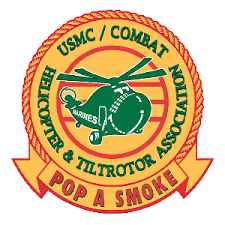 Our Featured Veteran this month is Col. Slick Katz USMC (Ret), President of the Marine Corps Combat Helicopter & Tiltrotor Association – otherwise known as Popasmoke, and a faithful client of AFR’s since 2008. The Must-See Museum highlighted in this issue is the First Division Museum at Cantigny Park, the 500-acre Wheaton (IL) estate of Col. Robert R. McCormick. The museum just completed a multi-million dollar renovation. Every day is Veteran’s Day in DAYTON! 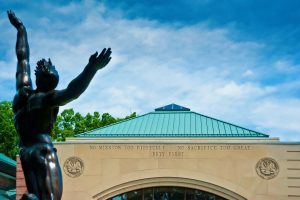 Home to Wright Patterson Air Force Base and the National Museum of the U.S. Air Force, Dayton as a community has a special respect for veterans. We’ve been celebrating the Air Force’s 70th anniversary all year. But we roll out the red carpet for all military reunions. 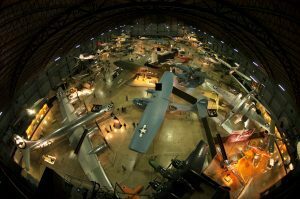 The FREE National Museum of the U.S. Air Force, the world’s largest and oldest military aviation museum opened a new 224,000 square foot hangar in June 2016. Your reunion group can be among the first to experience the new 4th hangar which houses more than 70 aircraft in four galleries—Presidential, Research & Development, Space and Global Reach, and STEM (science, technology, engineering and math) Learning Nodes. Board and tour four of the nine presidential aircraft on display, including the plane that flew Kennedy’s body back from Dallas and that Lyndon Johnson was sworn in as president on. Board and tour a NASA Space Shuttle. The museum now has a total of 19 acres of enclosed exhibits featuring more than 360 aerospace vehicles. Also, the refurbished Memphis Belle will be rolled out in May, 2018. Laid out in chronological format, veterans can easily access the conflict periods they are most interested in touring. The museum is open seven days a week from 9am-5pm and includes a cafeteria, a giant screen 3-D theatre an extensive gift shop, a Memorial Park and free parking. Surprise gunfire in Vietnam earned retired U.S. Marine Colonel Katz his nickname “Slick”: “My pilot and I were on a mission to fly a general to visit civil action platoons when the bad guys figured, while we were on the ground, it was a good opportunity to take some shots. We were not in a gunbird and all I had was an M-16 and a 38 with a 46 overhead flying cover. As the general and his aide ran back to the chopper I popped off some rifle rounds into the tree line “just” left of the general. After we got airborne he told the captain my actions were slick, and from then on that was my call sign. 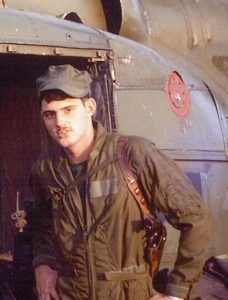 A Boston native, Katz enlisted in the Marine Corps in 1968 and was assigned to VMO-1 at MCAS New River and transferred to Marine Light Attack Helicopter Squadron 167 (HML-167) at Marble Mountain in Vietnam in 1970. On land, he served as an aviation electrician and in the air as a helicopter gunner manning an M-60 machine gun. He primarily flew in Bell Hueys, completing nearly 300 missions, largely providing gun cover for Marines, transport and resupply operations. Returning home in 1971, Katz remained with the squadron until his release from active duty as a sergeant in 1972. Graduating from the University of Massachusetts in 1977, he was commissioned as a 2nd Lieutenant and assigned to Camp Pendleton, HML-267, as a Maintenance/Material Control officer and Assistant Maintenance officer. He served two deployments in the Western Pacific with 267 and three accompanied tours in tours in Naples, Italy, assigned to the Commander, Fleet Air Mediterranean as Marine Liaison, MCAS Iwakuni (MALS 12 XO) and Okinawa (III MEF and MALS 36 CO). He has served at The Basic School. and later HQMC as Branch Head, Aviation Logistics and completed active duty as the Director of Business Operations at the Defense Supply Center in Richmond, Va. Among his many awards and medals are the Combat Aircrew Wings, Defense Superior Service Medal, Legion of Merit, Air Medal with numeral 14, Meritorious Service, Good Conduct Medal and Combat Action Ribbon. 06.07.14. Cantigny Park and the 1st Division Museum commemorates DDay. Twenty-two WWII veterans were on hand. Photo by Glenn Kaupert. Col. Robert R. McCormick’s beloved First Division, now the U.S. Army’s 1st Infantry Division (the famed “Big Red One”) comes to life at the First Division Museum at Cantigny Park. Visitors can encounter, question and form their own views of our military past and present. Watch and learn as the history of our nation’s military conflicts unfolds in this distinctive museum to be enjoyed by the whole family. Immersive exhibits put visitors in the trenches of World War I, on the beaches of World War II, through the jungles of Vietnam and across the deserts of Iraq. Interactive exhibits apply virtual reality technology that is sure to leave a lasting impression. Outside the museum, visitors explore the iconic “tank park” featuring 100 years of armor. The museum also houses a rich archive open to the public, and publishes books, hosts conferences, engages distinguished speakers and sponsors research. The museum’s fleet of historic vehicles regularly appear in parades and other events throughout the Chicago region. Cantigny Park is the 500- acre Wheaton (IL) estate of Robert R. McCormick. It is home to the McCormick Museum, First Division Museum, formal gardens, picnic grounds, walking trails and a Visitors Center with banquet and dining facilities.